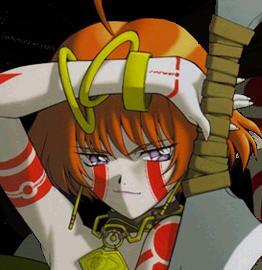 Note that this is Top 10 Favorite Female Anime Characters, not Top 10 'Sexiest' or 'Hottest'. Remember, IT'S JUST DRAWINGS! 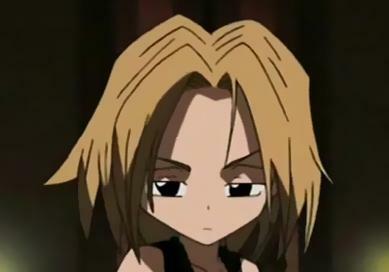 Why she rocks: Anna the Spirit Caller, as she's known, is really what takes Shaman King from just a great action anime to the level of a strong character drama. She's blatantly direct, controlling, and takes no crap from anyone, but she's also intelligent, focused and cares deeply for her future husband, Yoh. Above all though, it's the fact that she forces herself to conceal her true feelings from Yoh because she knows he needs her strength that really impressed me. 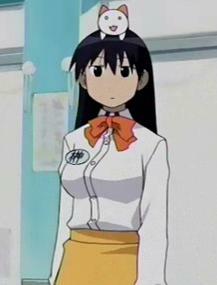 Why she rocks: Yukari is the homeroom teacher of the main characters in Azumanga Daioh, but really, she's probably the least mature of them all. Loud, brash, irresponsible, given to wild mood swings and obsessed with her imagined rivalry with her childhood friend and fellow teacher Kurosawa-sensei, the last thing she should be is a teacher. However, she still manages to get her students through the years, and even avoids killing anyone with her crazed driving during their summer trips. Yukari's straight-forward, no-bulls#!t personality and frenetic energy make her a character worthy of this list. Why she rocks: Faye is another rarity among anime females, in that she has absolutely no romantic plotlines in the show, at least none in the present tense. A classic example of the fallacy of judging a book by its cover, she says it best herself: "I'm not as easy as I look." 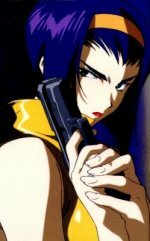 Haunted by her past (well, her lack of a past), searching for a place she belongs yet afraid to find it, pushing Jet and Spike away because she really likes both of them, Faye is no exception to the marvelously complex characters in Cowboy Bebop. Plus, she's a good shot, great fighter pilot and looks amazing in an evening dress. Why she rocks: Well, to put it plainly, Emeraldas is coolness incarnate. Strong, self-assured, calm and never caught off-guard, she would be an interesting character in any case, but her amazing devotion to those she considers her true friends, combined with the fact that she flat-out radiates style ensure her a place on my list. Why she rocks: How does one count all the ways? 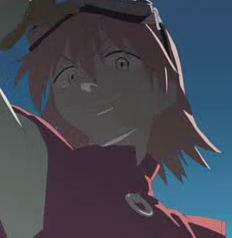 Well... she's from outer space, rides around in a hyper-powerful flying moped, saves the earth by fighting giant robots with her guitar, has a curiously evil-seeming talking cat, manages to sexually confuse the hell out of both Naota and his father, is a star baseball player and is in love with the most powerful being in the universe. And talks in the cutest little voices ever. 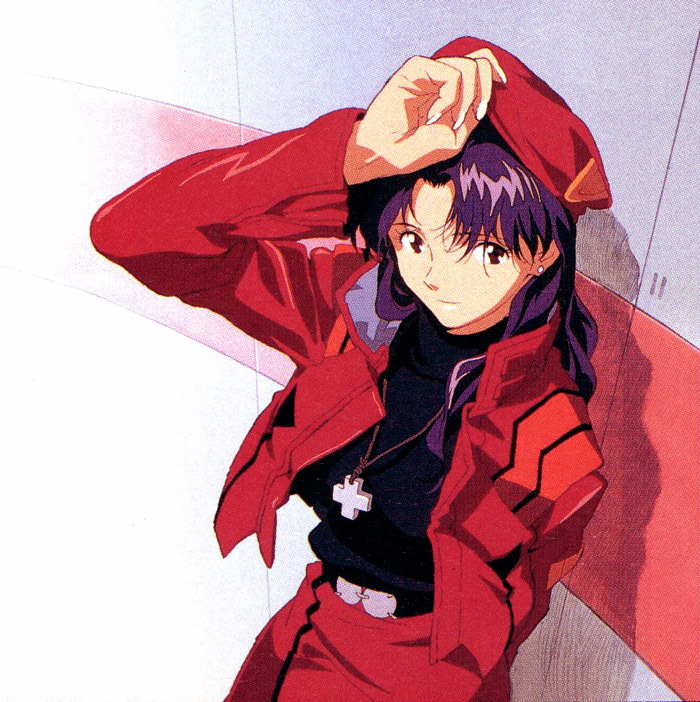 Why she rocks: Misato exemplifies what an interesting female anime character should be. At home with Shinji and Asuka, she's a fun loving, messy party animal, at work she's a consummate professional in charge of tactical operations for the most powerful weapon ever created, and with her boyfriend, she's apparently pretty damn "fun loving" if you know what I mean. Yea, she has problems, like everyone else in NGE, but unlike everyone else in NGE, she's not halfway (or in Shinji's case, completely) useless because of them. 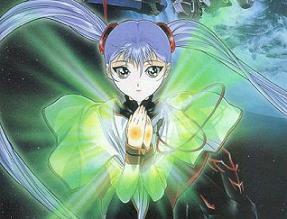 Her last scene in EoE is definitely NGE at the height of its occasional peaks. Why she rocks: An odd picture, maybe, but it truly is the best way to represent the sheer brilliance of character creation that is Ayumu, better known as "Osaka" to her friends. 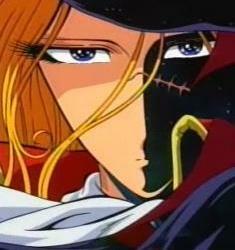 Osaka resides firmly in her own world, which does not even make enough sense to be called a 'fantasy' world. Completely redefining the meaning of the word 'dense', yet with access to a wisdom so profound that it can only be called sheer insanity, she must be watched to be believed. I do not have the mental fortitude to describe her adequately. Why she rocks: The most impressive thing about the character design for Ushio is that, really, she's a "normal" girl, with all the various personality traits and worries that you'd expect from a girl her age... but she is also oh-so-much more. As the one who is most affected by the arrival of the Ranga, Ushio struggles to find where to draw the line between using power and abusing it, the difference between caring about others and being dependant on them, and the true meaning of belief. The gentle soul in the Shimabara family, she is the one most shocked by the cruelty of those hoping to exploit her, and her development is truly fascinating. Why she rocks: Ruri redefines 'compex'. She's not complex in the same way, say, Faye is. Instead, she's a mix of seemingly completely disparate elements that somehow manage to come together into an anime girl unlike any other I have ever seen. From her hilarious, perfectly timed utterances of "Baka!" to the surprisingly poignant revelations about her childhood, Ruri plays the role of bridge officer, pop idol, royal princess, best friend to the Nadesico (the actual ship itself), spy and, finally, Captain as her story unfolds. Not to mention that she's about the only useful non-mecha pilot on the whole ship, has weird cybernetic powers, an IQ somewhere around 200 and looks absolutely adorable in a cat costume. Truly, one of the very elite of the masses of anime girls out there. 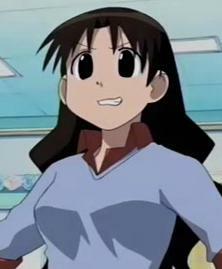 Why she rocks: Sakaki, like that old Green Day song, is a walking contradiction: a tall, attractive, "well-proportioned" (you know what I mean) girl, who is great at sports without needing to practice and isn't lacking in the intelligence department either. All the girls in school think she's cool, and at least one flat out idolizes her. But she couldn't care less. Instead, she wishes she was small and cute, and wants to spend her time with what she really loves - animals, especially cats. It's not that she's afraid of or uncomfortable with her popularity, it just doesn't concern her at all either way. Still, she's far from distant, an incredibly caring person who genuinely feels for the troubles of those around her, but is never a whiner or crybaby, and knows all along exactly what she wants to do with her life. She is proof that anime girls don't have to revolve around the same old cliches of 'smart girl', 'shy girl', 'hot girl', ad nauseum. A truly refreshing, and fantastically endearing character. To continue on the comment I made about Dark Schneider, if that evil god then forced me to choose any female anime character to spend time with, here she is.